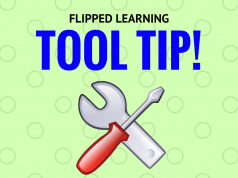 Home Tool Tips GoFormative: Do You Need the Premium Version? Formative (www.goformative.com) is a freemium, web-based formative assessment tool that works on any device. The assignments provide educators with live feedback on student performance making student intervention or lesson redesign reflective and immediate. Student signup is relatively simple and similar to other types of web-based platforms. 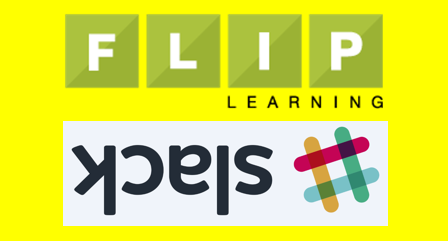 Students may add themselves to classes if the educator provides a link or a class code. Formative can be accessed by students via computer, tablet, or cell phone. Educators may preview how the assessments appear in each of these formats before assigning them. 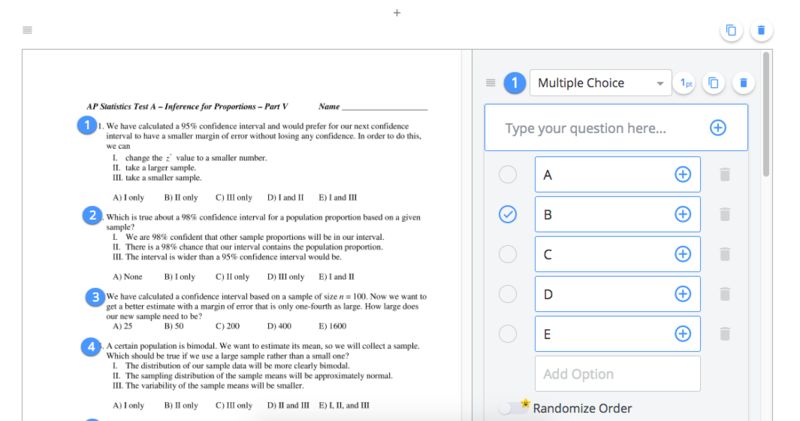 Formative has the capability to communicate with Google Classroom and to provide scores for assessments. There are helpful videos and tutorials for all the assessment options. Educators can create an online assessment with embedded links, videos, or pictures. They may ask questions in a variety of formats, but perhaps the most interesting aspect is the ability to upload an existing document. Maybe the educator has a test they usually print-out for students. A digital version of this document can be uploaded and easily adjusted to an online format without retyping the entire document into Formative. Personally, the ability to upload existing documents has been the most useful feature. I have used other online tools, but they often require the educator to retype each question to use the same assessments. Who really has the time for that? I use Formative to check student mastery of material in my AP Statistics class by uploading a test which I use for practice (see above). Students often get tripped up by the language and format of the multiple choice questions, so this is a great opportunity to decode what the question is asking and what the AP graders want from a response. 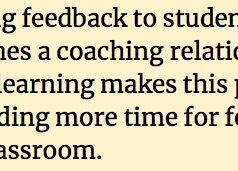 The feedback and display assist in determining whether we move to the next question, review the question itself, or review an entire topic before the test. 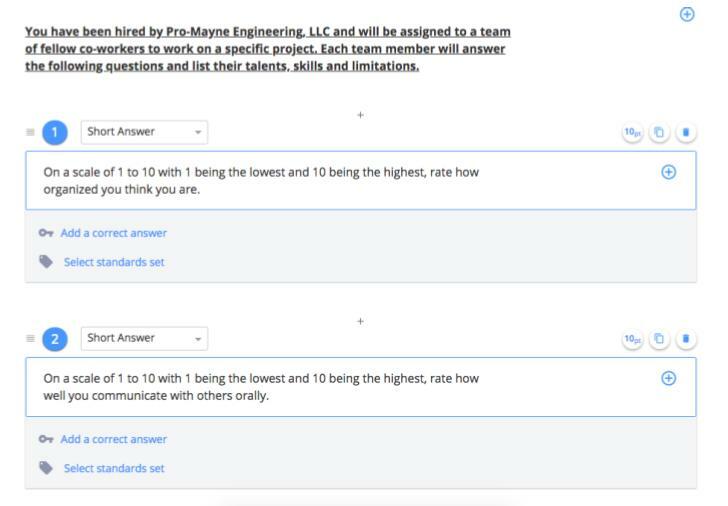 For the Foundations of Engineering class, we used Formative for students to create a strengths and weaknesses inventory before working on group projects. Each student anonymously filled out the survey. Once completed, group leaders drafted a team of individuals to work on several projects. The displays were compiled into a document, separated by individual student, then given to group leaders. The sliding scale responses were particularly useful in this case: group leaders could visualize responses on a number line and ensure that each quality was represented in at least one individual within the group. There are limitations with the free version. There is a maximum number of documents you can upload each month. The free version also limits the ways content can be added, and which types of questions educators may utilize. In the premium version, for example, audio content can be uploaded with questions and answers. Answer formats in the form of numerical responses, categorizing, graphing, and resequencing are also premium-only. Other improvements allow for unlimited document uploads, anti-cheating tools, assignments of assessments to individual students and subgroups, partial credit for responses, unlimited report exporting, and progress tracking. The final option is a team premium version. A group of educators can use the teacher premium as well as collaborate and share formatives. If an entire school or district decided to join Formative, all students would be synchronized with the student information system (SIS). The premium version has a lot more data reporting capability and assessment flexibility (for $15/month at the time I am writing this). If you are going to use the site infrequently with a basic structure, the free version will work just fine. 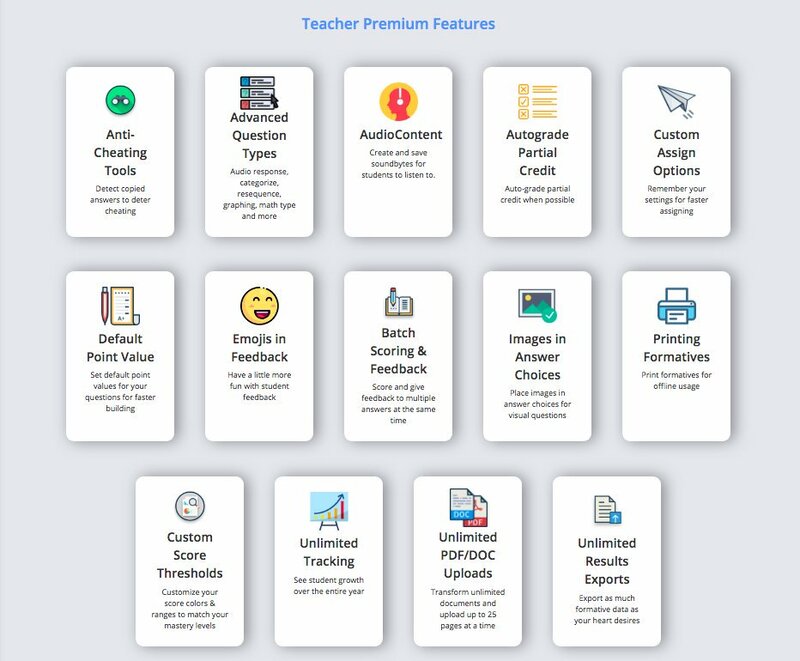 However, the premium version definitely has greater flexibility and options for students and staff alike. Having one system used district-wide or school-wide could minimize confusion for students and educators, instead of struggling with multiple platforms. Depending on the overall use of the GoFormative tool throughout your district or school, these tools may be well worth the money.